A virtual phone system that secures your critical business communications 100% in the cloud for anytime access and control. CustomerMatrix is SaaS leader in artificial intelligence that global banks and insurance companies use to help grow revenue and deepen client relationships. Seneca Data is a private company categorized under computers, peripherals, and software. Concierge.com offers innovative guest management software* + a dynamic team of event and hospitality pros to create an exceptional, ‘frictionless' experience for every guest. We provide health insurance companies with real-time insights and visibility into the customer journey. Agio Offers Integrated Managed IT And Cybersecurity Services To The Financial Services, Health Care And Payments Industries. Secret Computing technology for privacy-preserving machine learning and AI. Compute sensitive data while it remains encrypted in-use. Join 500,000 pros on the world's most powerful video review and collaboration platform. Share video projects with your team and clients for fast feedback and approval. ICP srl is an Italian wiring harness, automotive brake wear indicator and aircraft manufacturer founded by Tancredi (Edi) Razzano in 1980 and originally based in Piovà Massaia. The company relocated to Castelnuovo Don Bosco in Piedmont on 10 September 2009. ICP specializes in the design and manufacture of kit aircraft for amateur construction. 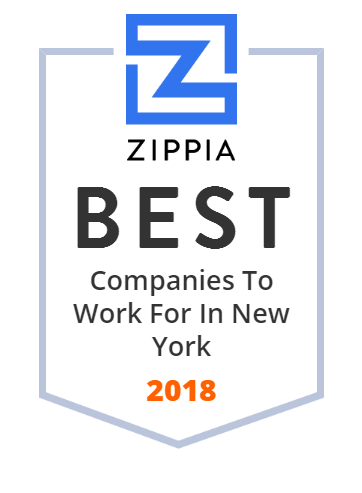 Synechron Inc. is a New York-based information technology and consulting company focused on the financial services industry including capital markets, insurance, banking and digital. Tictail is a social shopping website for shoppers to discover emerging designers around the world. Every deal in your city. Clarifai Inc. is an artificial intelligence company that specializes in computer vision and uses machine learning and deep neural networks to identify and analyze images and videos. Payfone's digital identity authentication helps companies prevent fraud and create better customer experiences. much more - all in one place! Dstillery is the leader in applied data science, helping companies unlock growth by finding and targeting their highest value prospective customers. Tired of updating your CRM? Our Salesforce Automation Software can help. What used to take 30 minutes now takes 5 with our voice to text technology! LiveTiles is a software company founded in 2014.
mParticle's customer data platform integrates all of your data and orchestrates it across channels, partners, and systems so you'll never miss an opportunity to impress. TravelClick offers innovative, cloud-based, and data-driven solutions that help hotels improve business and maximize revenue. With three decades of experience in the industry, the company is a trusted partner of accommodation providers worldwide. TravelClick operates in 176 countries with local experts in 39 countries. Provista Diagnostics has the only commercialized protein-based blood diagnostic for the early detection of breast cancer. Supporting Subscriptions, Auto-replenishment, Memberships, Predictive Reorder and other Relationship Commerce programs that create recurring customer relationships and drive predictable and profitable revenue. Vestorly curates better content for your audience to help you build more engaging email, social media, and websites. Scale communication and generate leads. Use it free! SeatGeek is an event ticket marketplace and aggregator of sports, concert, and theater tickets. Segovia provides a secure, reliable platform for frontier market payments. Confide's encrypted, ephemeral and screenshot-proof messenger allows you to communicate digitally with the same level of privacy and security as the spoken word. We are a free licensing platform for creatives, because your work should belong to you. Sign up and own your own content. Brandon Systems serves healthcare and insurance organizations with application integration, enterprise workflow, mainframe modernization, eBusiness, mobile apps, call center solutions, data warehousing, business intelligence & cloud solutions. Tapad Inc. is a venture-funded startup company that develops and markets software and services for cross-device advertising and content delivery. CrowdTwist is a privately held company headquartered in New York City, New York that provides a SaaS based omni-channel loyalty and analytics platform that is designed to allow marketers to acquire, engage and retain customers. Fluidinfo, formerly named FluidDB until early 2011, is an online cloud data store based on an attribute-value centric data model. Integral Ad Science is a privately held technology company that analyzes the value of digital advertising placements. Improve audience engagement, inform editorial decisions, and increase readership. Chartbeat delivers real-time analytics, content intelligence, and transformative newsroom tools for digital media and publishing companies around the world. Tradewind has launched a technology platform for digitizing the trading, settlement, and ownership of precious metals.